Mobile traffic is exploding. 2013 saw massive and continuous growth in mobile traffic for all of our customers. Each and every website saw more mobile visits on a monthly basis; and this is set to continue further in 2014 with the wider proliferation of iPhones, smartphones and tablets. As mobile traffic continues to grow, it becomes increasingly important that websites offer maximum usability for mobile visitors. We're sure you have tried to browse full websites on a mobile device and experienced frustrations as browsing clearly isn’t optimised for the device you’re using. Full layouts often won't translate well for an optimised experience on a mobile device, with browsing through pages slow and painful. Start optimising your site for mobile visits today. 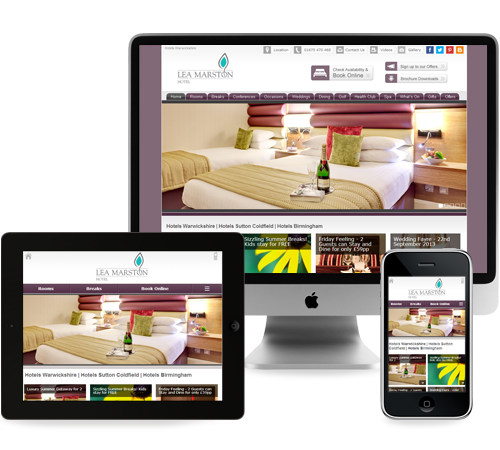 Websites now need to be fully functional for both desktop and mobile users. How the website looks on a mobile device isn’t the only issue. For example, have you considered how quickly your website loads on 2 or 3G connections? Studies have shown that 74% of users will abandon after waiting five seconds. Therefore, optimising your website for mobiles is more than just changing the layout; mobile sites need to be fast. You need to make it easy for visitors browsing your site on a mobile device to find your content. Ensuring this is right takes expertise and it's not just as simple as reducing the size of your site. The overall mobile experience needs to be accounted for, and this includes ensuring your site loads quickly, information is presented attractively and navigation is easy. A fully functional eCommerce site with mobile optimise browsing and checkout. The Flightcase Warehouse site is optimised for both desktop and mobile users. The layout and product browsing experience is streamlined on a mobile device to offer excellent usability no matter what device is being used. A mobile cart and online account system facilitate the mobile shopping experience, making it quick and easy for users to buy using their mobile devices and can be reviewed later on a desktop if desired. The end result is a site that serves all users no matter what device they're using - excellent for conversions and sales. Spiderscope will ensure each of these points are planned and optimised for, ensuring your visitors enjoy browsing your site on their mobiles. This will translate into more mobile visits, greater interaction, more conversions, more leads and more sales. Optimising a website for a mobile device takes care and attention in order to create an optimum user experience. We have built exciting, dynamic and usable mobile websites that deliver the very best user experience and our customers have reaped the rewards from this. Be the next and get your website optimised, contact us on 03330 220 990 now.